Designed by José María Cañizares Añoreta was the second golf course to be built on the east side of the Costa del Sol.The club was opened in 1990 with only nine holes, but now it has 18.Its water hazards are its main feature as they from a part of eleven of the holes and surround the green on the 17th on three sides. 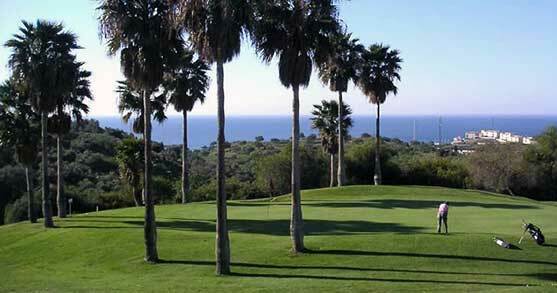 Cañizares has designed a course which is suited to all golfers, from beginners to experienced players and pros. With a total length of 5,976 metres from the amateur tees, all the course’s fairways and greens are wide. Its lush vegetation and great expanses of water enhance its natural beauty. Is situated only 7,5 miles to the east of Málaga, and to get to the club it’s best to take the Rincón de la Victoria bypass or go through the village itself, which has always been a popular summer resort of the inhabitants of Málaga.